Fat Quarter Shop's Jolly Jabber: October Button Lovers' Club: Peach! October Button Lovers' Club: Peach! It's that time again! 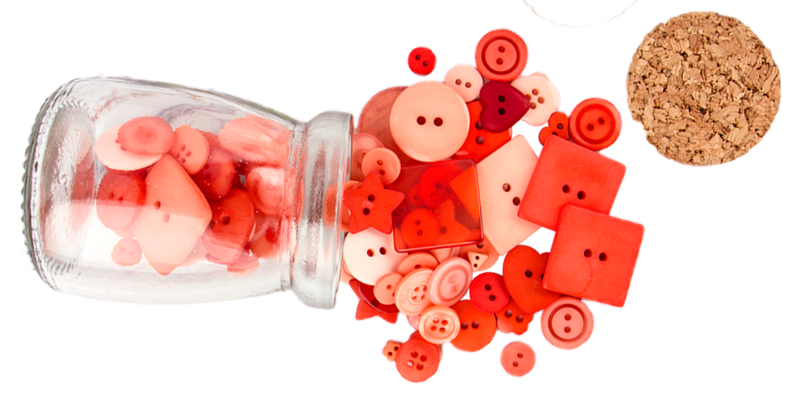 Today we're showing you some adorable designs using the October box of buttons featuring a fresh, new color: Peach! 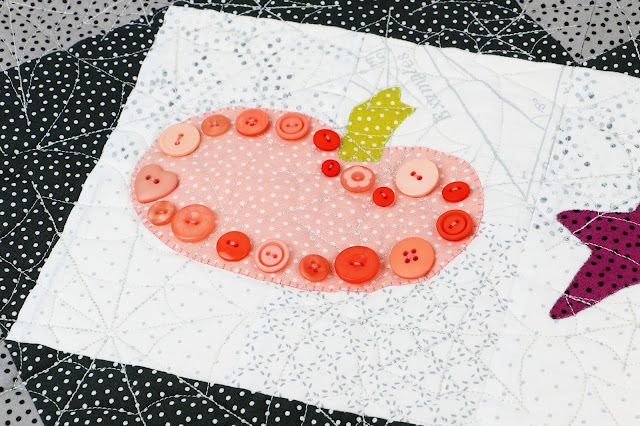 With fall inspiration everywhere you look - there are so many adorable designs ready for you to create with the variety of buttons in this month's Button Lovers' Club! This month's free template is an adorable fall table decoration; the perfect addition to your next get together! Is this show-stopper your next "must-make" item? Follow Pat Sloan's easy instructions below! Finished Size: 16" x 48"
Step One: Download the pumpkin table runner template here. Step Two: Using the 5” grey and black squares, make 20 HST using the 2 at a time method. They will be 4.5” finished. Step Three: Make the pumpkin fabric by sewing a unit of 2 x 11 rows of 2.5” orange squares. Cut the 3 pumpkins from this fabric. Step Four: Sew the center background of cream 4.5” squares in a 2 x 8 setting. Step Five: Applique the pumpkins and stars. Step Six: Assemble the table runner and quilt. Step Seven: Dress it up with peach buttons from your October Button Lovers' Club! This free template is so much fun, and can be made completely custom with the fabric of your choice for a different look and feel! Pat's table runner has a Halloween feel, while we see more rich, fall tones on the sample below! This sample uses Just A Speck and Modern Background Paper. How cute is the spiderweb stitch detailing?! 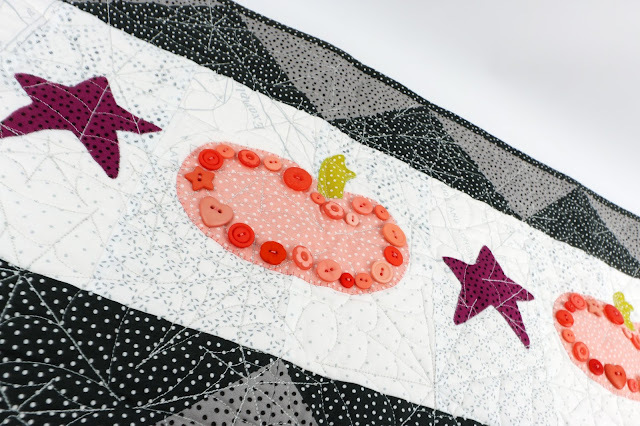 Each unique shade, size, and shape of the buttons in this Peach October Button Lovers' Club pack adds an adorable, custom feel. What fabrics will you choose? We're excited to see! If you aren't already a member, sign up for the Button Lovers' Club today. 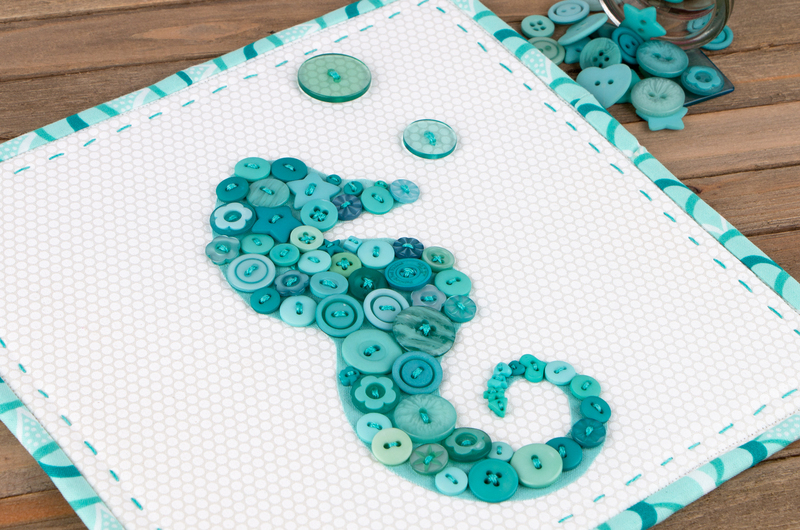 You won't want to miss the upcoming collections and our FREE project ideas!